A pretty basic skin care regimen starts with a good washing or cleansing your face. It is very important to wash your face with a good face wash twice a day even if you do not wear any makeup. The facial cleanser helps to remove any excess oils, pollutants, bacteria, and dirt, from your skin. However, finding the right facial cleanser for your skin is no easy task. This is not an exception for someone who has dry skin like me as well. 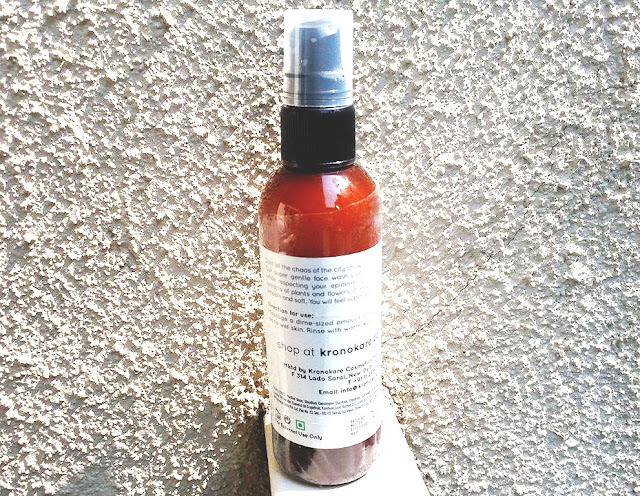 So, I have been desperately searching for a perfect face wash that would keep my face's natural oil and make skin soft, smooth and clean throughout the day or at least for a few hours in a day. Kronokare is quite a new brand for me. I've used one of their lip balms that was frizz kiss and my experience was really good with that. 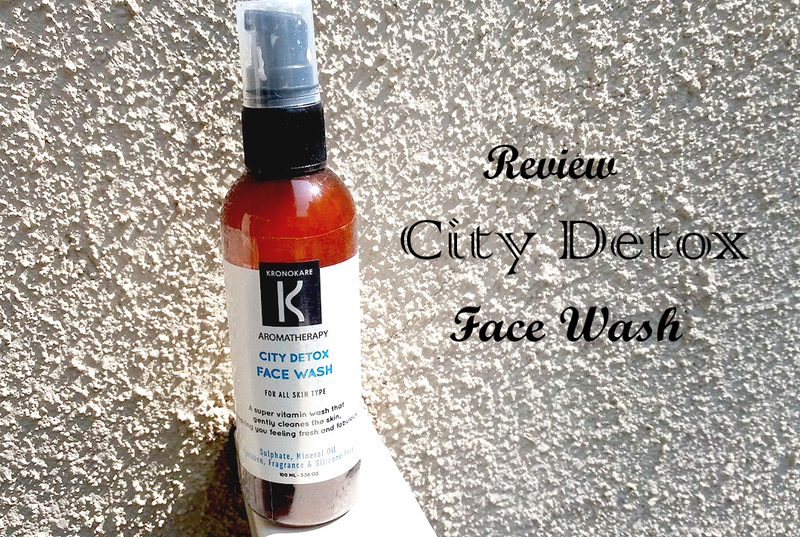 City Detox Face Wash is my second product which came inside one of my beauty subscription boxes. Kronokare City Detox Face Wash enriched with extracts of plants and flowers, it leaves the skin smooth and soft. Let’s get into the details. Aromatherapy inspired Kronokare products, their products are mostly sulphate, paraben, mineral oil, silicone Free cosmetic. For the whole month of January, I have been using this face wash whether for my day or evening wash and it is pretty gentle on my skin. 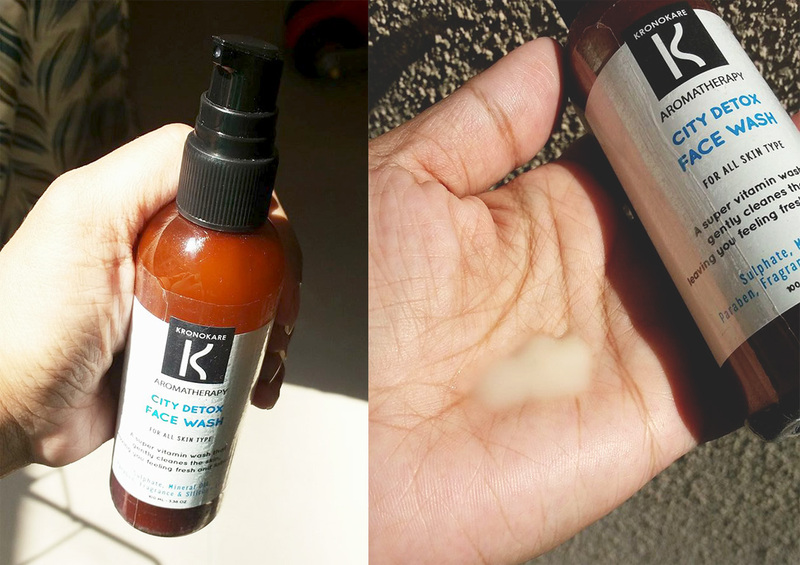 Kronokare City Detox Face Wash comes in a brown pump style bottle. The pump nozzle is covered with a transparent plastic cap which shuts tightly, avoiding any product wastage and this packaging allows you to carry the bottle without any fear while traveling. The texture of the product is very creamy, smooth and soft. It has slightly runny consistency. This pearl-white colored face wash smells very nicely that reminds me the presence of essential oils like Lavender Essential Oil, Grapefruit Essential Oil, and Peppermint Essential Oil. First, wash my fash with and plain water then places the required quantity of face wash on my palm. Since the face wash comes in pump style bottle so only two pumps more than enough to clean up the face. 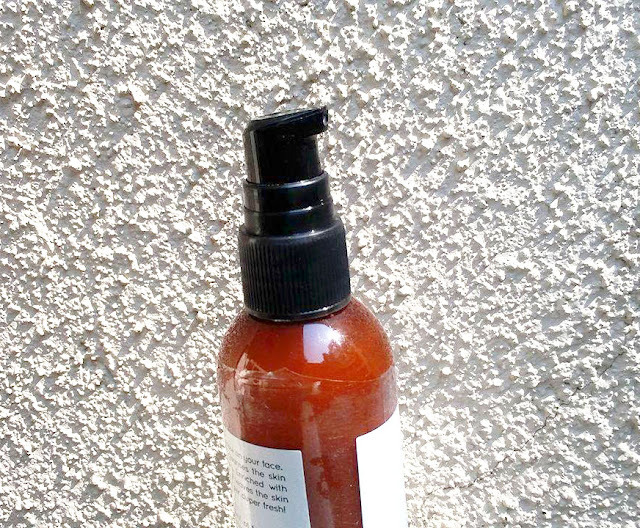 Apply the face wash on face and nack, work up with fingertips and gently massage with small circular motion. I love the consistency of the face wash. Without any effort, it spreads easily on my skin. The texture of this face wash is like a cream, as it doesn’t lather much. But clean my skin very nicely. I keep this face wash for one minute and rinse off with clean water and pat my face dry. The face wash cleanses my skin so effectively and my skin does not feel dry or tight after using this product. It feels extremely gentle on the skin due to its creamy texture. I really love the clean and refreshing feeling every time after I washed my face with this face wash. I am glad that this face wash does not strip the natural oils from my skin. Kronokare City Detox Face Wash, suit all skin types. I loved how it worked on my skin. It leaves my skin super soft, fresh and clean. It's not too harsh. It smells amazing and my skin feels fresh. It soothes skin and skin feels soft and supple. My skin does not feel dry or tight after using this product. Due to its creamy texture, I feel it's quite hydrating too. This face wash enriched with some amazing ingredients like Vitamin E, Essential Lavender Oil, Sunflower Oil, Essential Grapefruit Oil, Essential Peppermint oil. Yes, I recommend this face wash.